Any defeat in the NCAA Tournament is tough. And the further a team advances, the more the losses sting. Auburn fell to Virginia on Saturday night in the Final Four, 63-62. The Tigers trailed by nine with five minutes left to play, but took the lead with just under two minutes to go. They stretched the advantage to four points with 17 seconds left, and still were up by two with one second to go. But that’s when Auburn’s Samir Doughty fouled Virginia’s Kyle Guy as he attempted a 3-pointer. He then calmly sank all three free throws, and Virginia advanced to its first-ever national championship game. After the game, the Auburn team gathered on the court to pray. 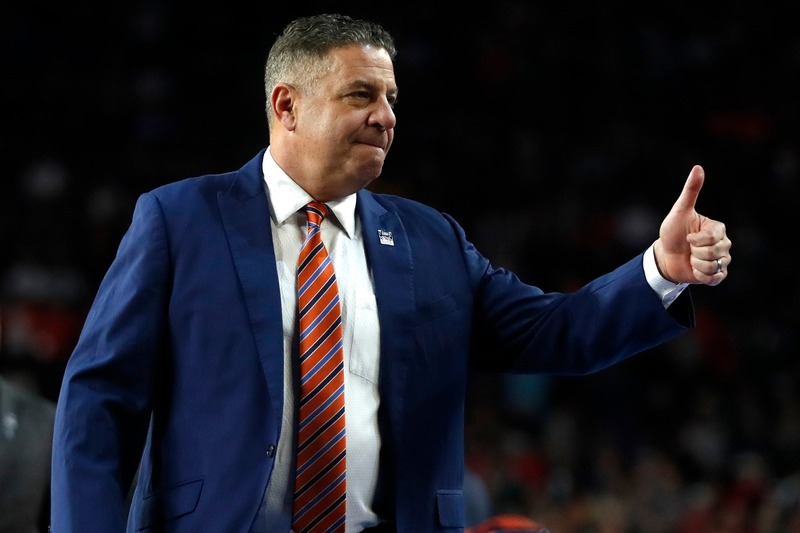 Minutes later, coach Bruce Pearl was asked what his message was to his players in the locker room. Auburn, a No. 5 seed, defeated Kansas, North Carolina and Kentucky to reach its first Final Four in school history. It finishes the year 30-9, setting a program record for most victories in one season. Virginia will face Texas Tech, which defeated Michigan State in the second semifinal, for the national title Monday night in Minneapolis.